There are pitfalls to bucking expectations, but eight of America's most successful Asians overcame them to enjoy the sweetest of rewards. here are two kinds of successes — the paint-by-numbers kind and the bolt-from-the-blue kind. In the first, those who follow all the steps can expect to become doctors, lawyers and corporate chiefs. But it's the second kind that fascinates us — the adventurous souls who defy conventional wisdom by shunning the beaten path to set off through the brambles in search of their own. Years later a few emerge scarred but stronger. The only way they know they've stumbled into success is the admiring look in the world's eyes. This feature looks at eight Asian Americans whose surprising successes have taken them far beyond their original quests for a life of their own. ammy Nguyen faced a tough choice. She could let her eighth-grader son play football and possibly get injured or she could let him continue spending afternoons with the wrong crowd and end up in jail for stealing. The biggest obstacle to playing football wasn't his mother's fears about injury, however. It was his size. The Vietnamese American boy was small compared to the other boys playing the sport. But he was shown the way by older brother Hung who, at 5-4 and 140 pounds, was even smaller but played center for Rockport-Fulton High. Dat managed to put on some precious pounds by eating as often as possible at the home of best friend Jimmy Hattenbach whose mother served heaping helpings of rich American food. By the time Dat was running through his college options, recruiters were over the size thing. He was recruited by Division 1 powerhouses like UCLA and Michigan. Dat chose Texas A&M so he could pursue agricultural sciences. And he pursued his studies with far more seriousness than most football stars, racking up a solid GPA while setting an Aggie record with 517 career tackles over 51 consecutive starts. He finished his senior year with a career-high 147 tackles and became the only player in school history to lead Texas A&M in tackles four seasons running. Those impressive stats earned him some impressive accolades. He was named Big 12 Male Athlete of the Year by the Dallas Morning News. He was the national and Big 12 Defensive Player of the Year his senior year. He won the Lombardi Trophy. Best of all, he was drafted in the third round by the Dallas Cowboys despite his size (5-11, 221 pounds). What everyone was beginning to see was that Nguyen's ability to read a play more than made up for his size and mediocre footspeed. What makes the story complete is the remarkable success Nguyen has seen as one of the NFL's smallest middle linebackers. After two seasons of playing on special teams and backup positions, in 2001 he was promoted to starter at the middle linebacker position. That season he started all 16 games and led the team in tackles. Not even a wrist injury in 2002 could keep him from receiving his well-earned reward: a 6-year $13 million contract. ei-Fu Chen and his new bride Oi Lin immigrated to the United States in 1974 in search of an entirely conventional kind of success. They planned to study hard, get into medical schools, become doctors and live in a nice home in the suburbs. Instead, four years later Tei-Fu Chen found himself with a 4-year-old daughter, a pregnant wife, stacks of med school rejections and only seven dollars and fifty cents in his pockets — not even enough to rent an apartment. For the moment the Chen family's only option was to live out of their battered car. In desperation Tei-Fu took a series of odd jobs to get his family off the street. It was only when he renewed his early acquaintence with the traditional herbal remedies used by Taiwanese of humble means that his life began turning around. He used his knowledge to find work as a researcher for Nature's Way and Nature's Sunshine. Within four years Tei-Fu was ready to start his own company. Unlike herbal companies that professed to sell remedies for diseases, he wanted to create supplements to keep the body healthy. While wife Oi Lin attended medical school, Tei-Fu began doing precisely the kinds of traditional things from which he had hoped to distance himself by becoming a medical doctor — boiling herbal extracts in the basement of their apartment. 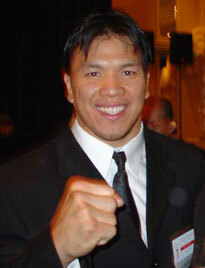 To sell his supplements, Tei-Fu built up the kind of multi-level direct marketing scheme used by his former employers. At last he had arrived at a formula for success. The Chens faced some severe tests along the way. Exploiting western suspicions of oriental health traditions, numerous lawsuits were filed claiming injury from Sunrider herbal supplements. Sunrider also became the target of scandal pieces by TV networks and newspapers. Tei-Fu Chen's own sister and father filed suits claiming a share of the fast-growing company. Uncle Sam sued for taxes owed on imports and exports of herbal products, casting yet another dark shadow on the Chens. That suit was ultimately settled for tens of millions.